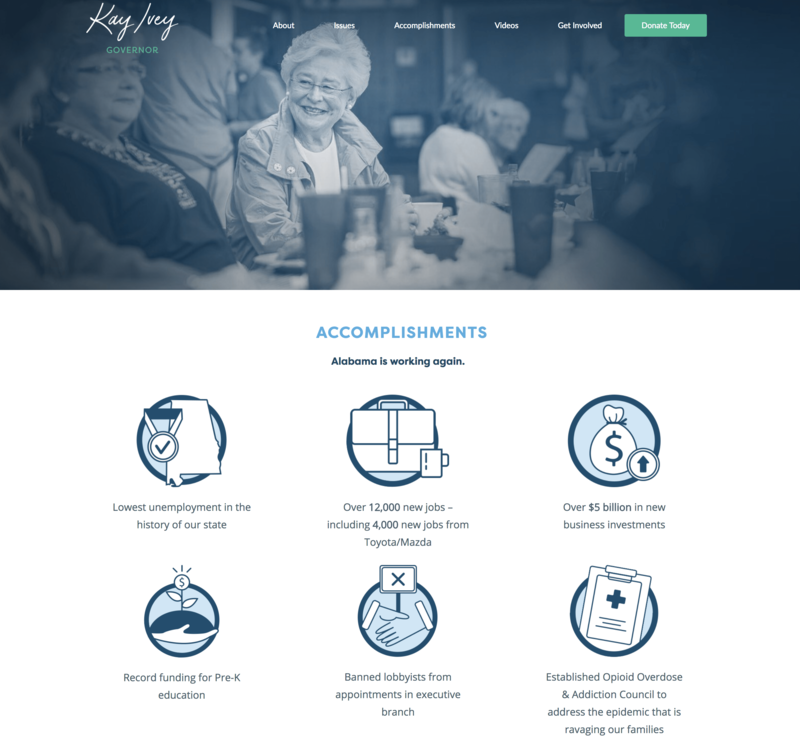 Governor Kay Ivey on Wednesday launched a new campaign website at kayivey.com, which allows Alabamians to learn more about the Governor, her accomplishments and her positions on the major issues facing our state. 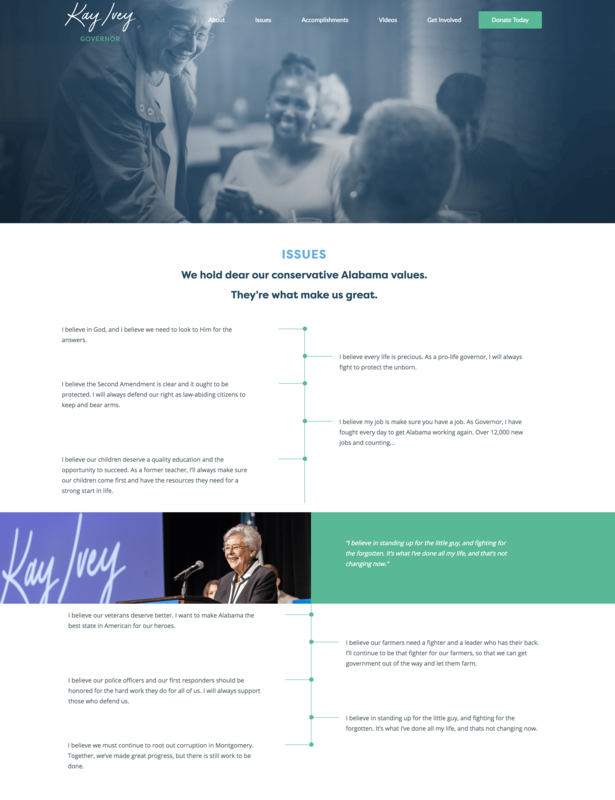 The website highlights Ivey’s efforts in working to steady the ship of state and her fight to clean up the mess she inherited in Montgomery. “It has been a year of results for Kay Ivey, and she’s just getting started. Together, with President Trump, she’s going to continue to fight to bring jobs back to Alabama,” said Mike Lukach, Campaign Manager for Governor Ivey.